Home » Blog » Community » Is every venture a project? Is every venture a project? 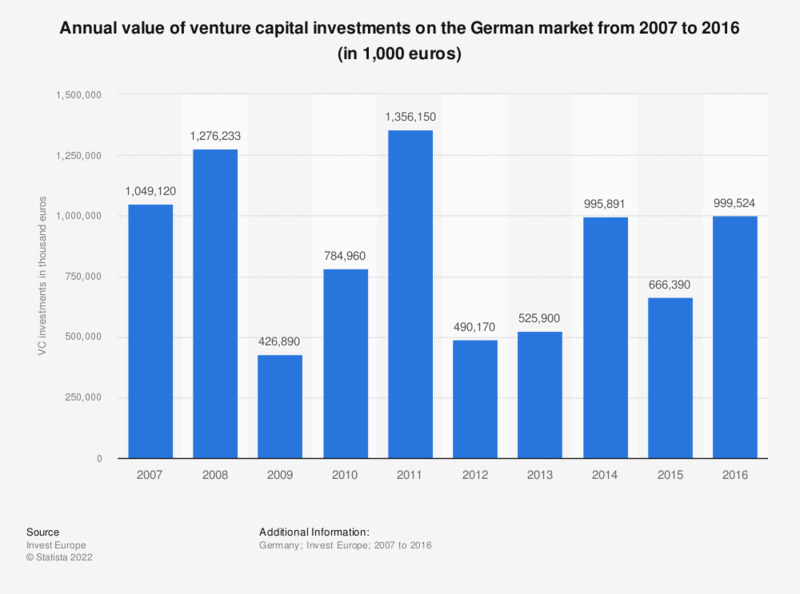 Venture capital is no longer a rare form of financing for young German companies. And indeed, there are some indications that VC-backed companies are even more successful than comparable companies with other financing channels. What is the reason for this? And why does Falcon help both VC funds and Start-Ups? What is venture capital anyway? VC is financial capital that is made available to Start-Ups with great growth potential. But the whole thing is risky. As a rule, VC funds come into play when the risk is still so great that the classic loan is not a real option for the young company. When investments are made, VC money is usually directly real equity - or at least similar to equity (such as convertible loans). Although the VC volume in the USA and China is significantly higher than in Germany, venture capital investment is also increasing in Germany. So VC is simply a high-risk investment? It's a lot more than just a liquidity injection. Interestingly, research shows that VC financing seems to play a more fundamental role in the success and failure of new companies than just providing cash. This is because companies with VC money usually perform better than comparable companies with alternative financing channels. See e.g. Hellmann & Puri  and Jackson et al. . In short, the success of a company does not only depend on the liquidity pool. VC managers do their best to make the company successful. And this is exactly why VC-Money differs quite clearly from loans and most angel investments. Why do VC funds often give more than just cash? Altruism alone is not the decisive factor for the great amount of assistance. The VC fund only earns money with the success and exit of the start-up. Evergreen and dividend models rarely or never exist with VCs. It is only about the next Unicorn (or at least a really small unicorn). And here lies the nub of the problem! Not all ventures run as planned. That is the nature of things. In fact, the write-off - and thus the loss - is part of the day-to-day business of most VC funds. Measured by volume, the write-off even ranks second behind the sale to trade buyers (... i.e. companies in the same industry as the asset). To counteract this effect, VC funds usually use a combination of two strategic approaches: On the one hand, they pursue a numbers game in which not only one investment is made, but many. This increases the chance of having made a successful investment. In the best case, it clearly overcompensates the write offs. On the other hand, they try - as scalable as possible - to support the companies. Every investment resembles a project. VC business = project business? ...does that remind you of anything? At least it does to us. Because these reports are not quite unlike the classic project reports! Admittedly: VC managers are not project managers but project stakeholders. And this is exactly where Falcon can help - and not just with an investment. And why the hell would Falcon help? We know why. Because we ourselves are VC-backed. High-Tech Gründerfonds is part of our team. We also report and discuss our steps with our VC. And Falcon actually helps us a lot. Do you want to know how? With Falcon, we can plan, track and centrally make available all relevant KPIs - whether it's the burn rate or the number of new leads. We plan and track our own milestones and subtasks in an agile and transparent way. We can also create additional project components - without creating a parallel world. VC Manager and Asset work together in Falcon. Falcon's rights management makes it easy and secure. Even though we work together in Falcon and a lot of information comes along, the automatic aggregation of Falcon always allows an assessment of the situation at a glance - but also to drilldown to the smallest detail. Risks and problems (which of course we never have.... 😵) can be found in Falcon's status reports. In combination with the KPIs and milestones, the report is ready at the push of a button. The cool thing about Falcon is that you can support as many companies as you want with Falcon at the same time. Falcon's hub structure allows you to switch from company to company at the push of a button. This is of course not that relevant for us as a Start-Up. But very much for VC funds and all other investment managers. Perhaps also for you? Let us know! OK. Let's summarize: VC capital is more than just cash. It also brings with itself various other components through the direct influence of VC managers. VC managers may not be project managers - but there are similarities. Falcon can help in the overlap between project management, reporting and investment management! We will show you how.